Kelly and Jake chose their wedding date based on the full moon and winter in the mountains, and we had so much fun designing their big day around these themes! For their paper goods, we worked closely with Sophie from Sweet Zion Paperie to incorporate the phases of the moon and their venue, Devil's Thumb Ranch. 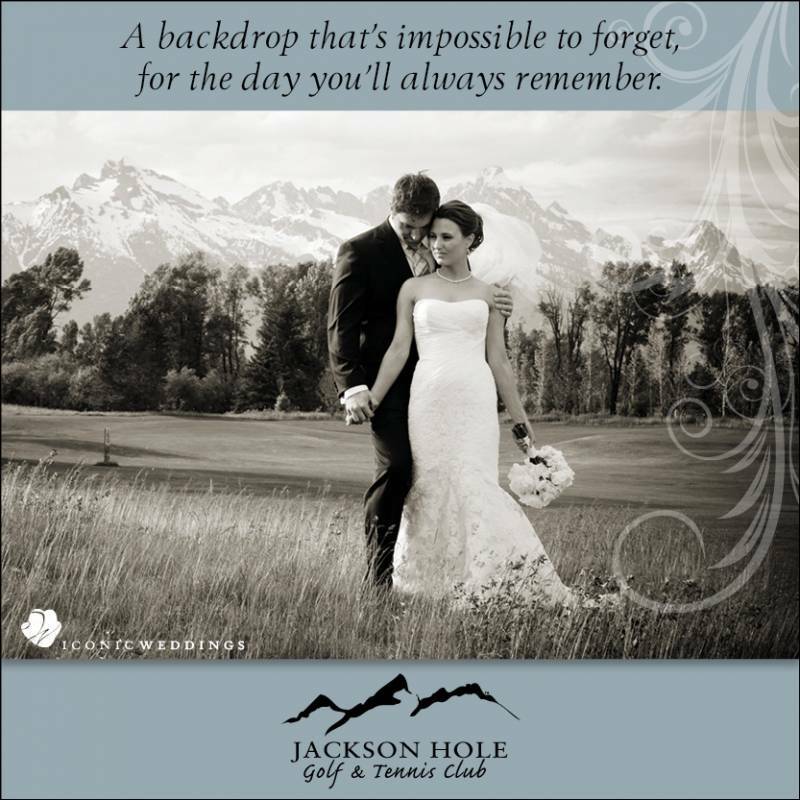 Kelly's mom Didi created custom artwork of the ranch, Kelly and Jake's dog Timber, and the phases of the moon, and Sophie worked with her to include them in the invitation suite design. Kelly's bridesmaids wore custom tartan skirts with ivory sweaters, and Kelly gifted them each with Sorel boots to make sure they were ready for pictures out in the snow! Jake wore a custom tweed suit that he helped design from Articles of Style. For their ring bearer, Kelly and Jake had their adorable white Samoyed Timber walk down the aisle donning his own tartan bow tie. Timber could not have been more happy for his parents! The cake was designed by Moriah with Wildflower Cakes, and incorporated birch with a white wood grain texture, fresh pine from Lale Floral, fresh cranberries, and a dusting of powdered sugar for a snowy effect. Kelly and Jake chose their cake flavors based on their nickname as a couple - JellyKake. Their guests dined on pound cake and almond cake with raspberry preserves and vanilla buttercream. Their reception included floral designed by Steph from Lale Florals with a mix of seasonal berries, neutral blooms, pine boughs and aspen branches for a romantic winter aesthetic that was warm and inviting. Neutral gray linens from La Tavola paired with white and black dinnerware from Yonder House added a soft, yet modern touch to accent the floral. And we loved highlighting Kelly and Jake's sweetheart table with an ivory velvet linen and Yonder's plaid tweed chairs for the bride and groom. For their wedding favors, Jake cut down a tree from their home in Boulder and created a set of wooden coasters branded with their custom logo to give guests "a little slice of their home". It was such a perfect personalized gift! Kelly & Jake from Canvas & Light on Vimeo.